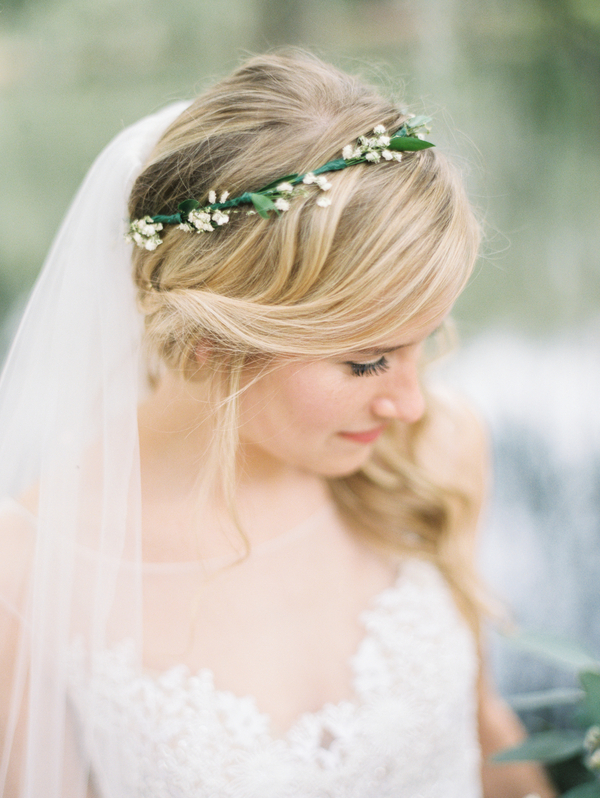 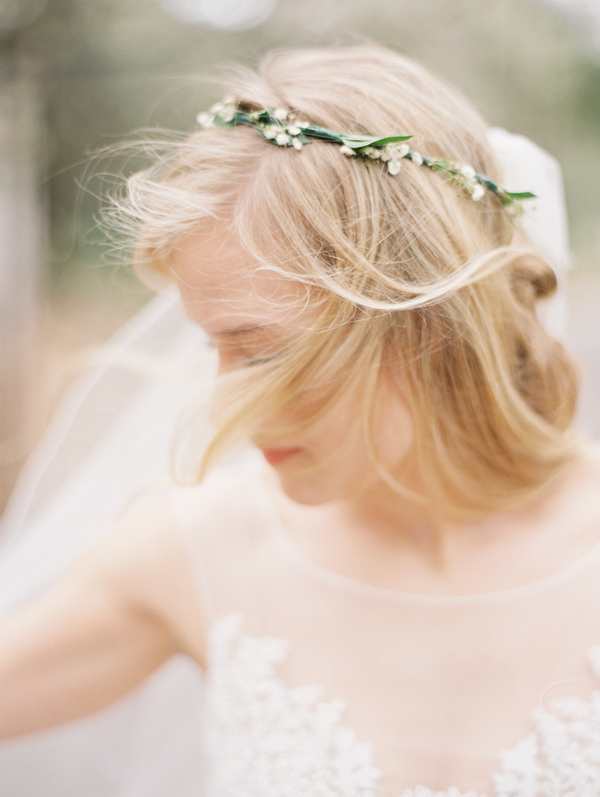 If these aren't the prettiest bridal photos you've ever seen then I just don't know what. 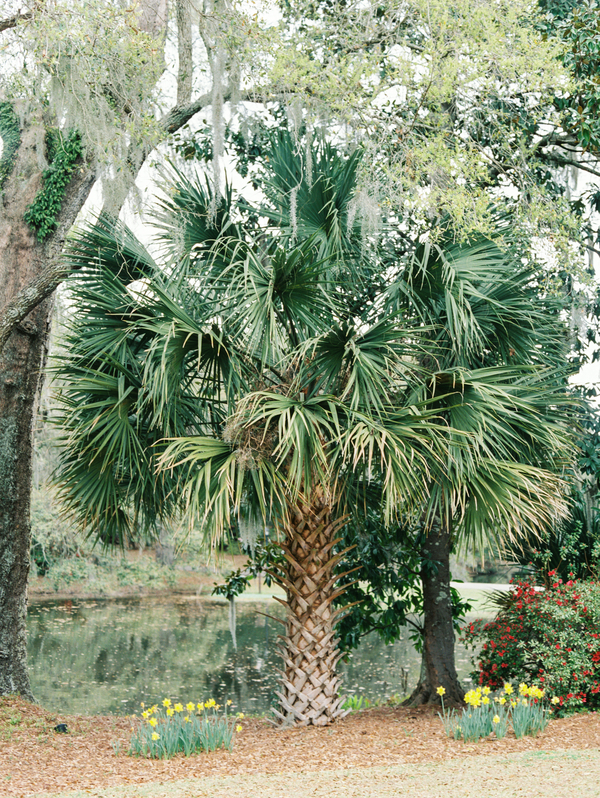 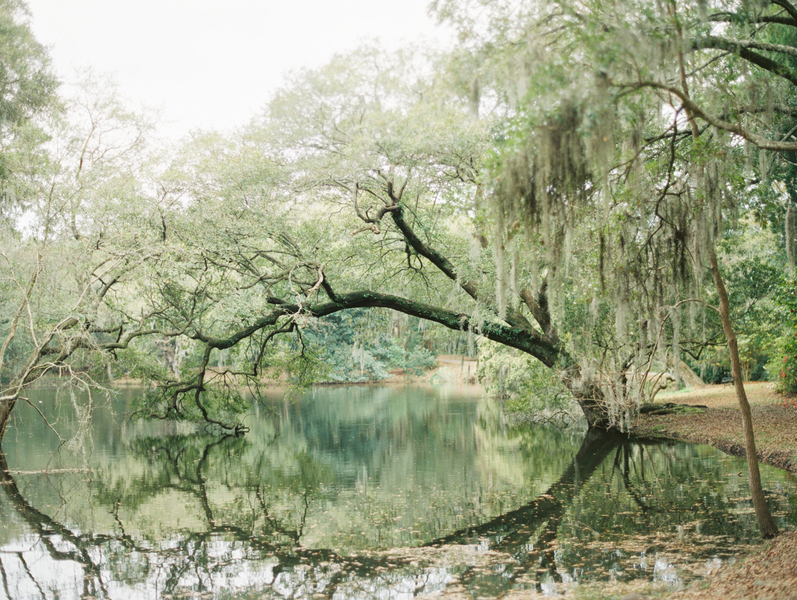 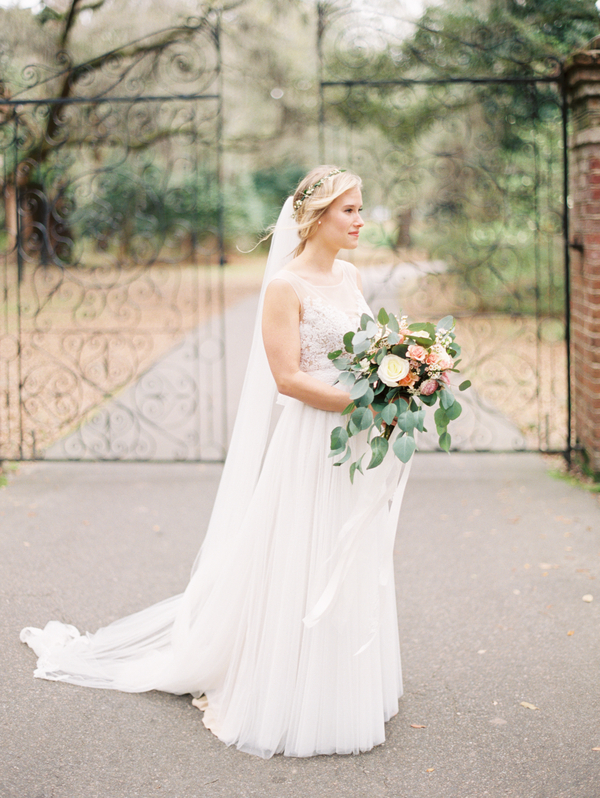 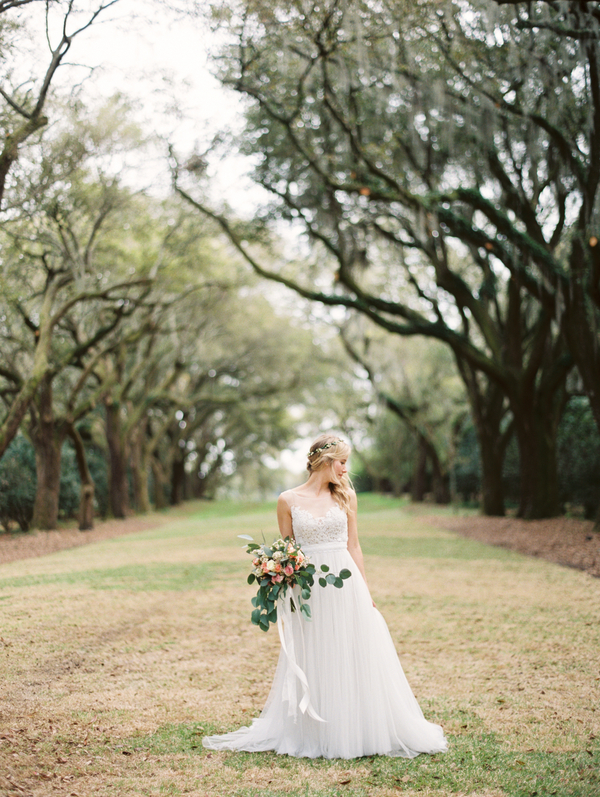 Set in beautiful Charleston, JoPhoto did an incredible job capturing Erin as the beautiful bride she was! 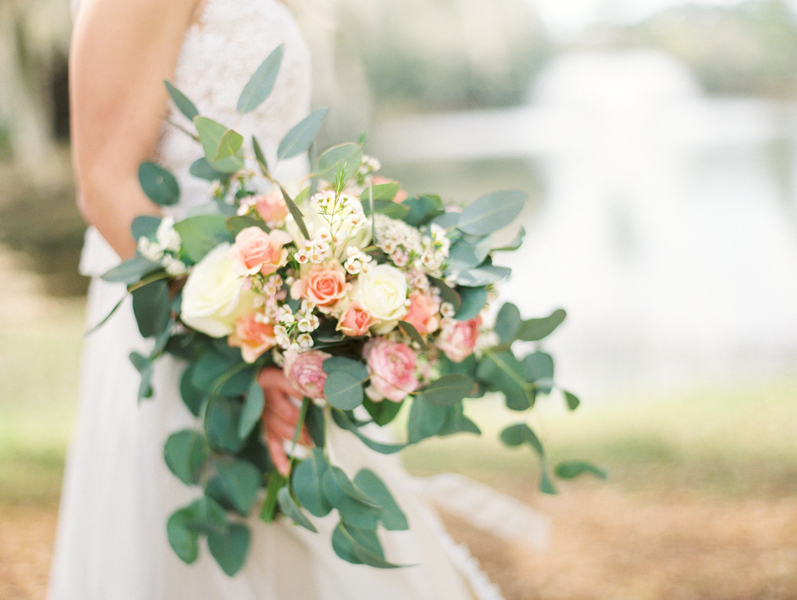 If you love these images and love vintage super 8 films, stop by The Southeastern Bride's Facebook page today to see more from this session! 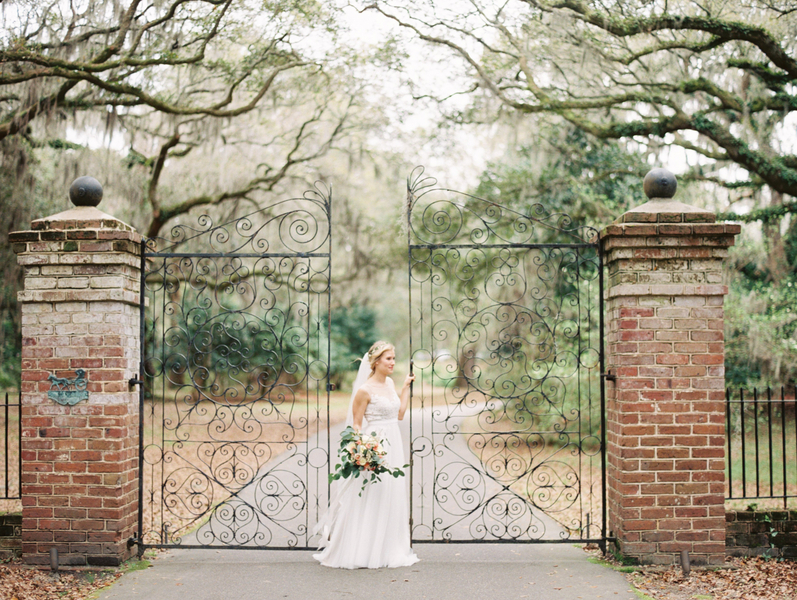 These Legare Waring House bridal portraits were taken at Charles Towne Landing State Historic Site. 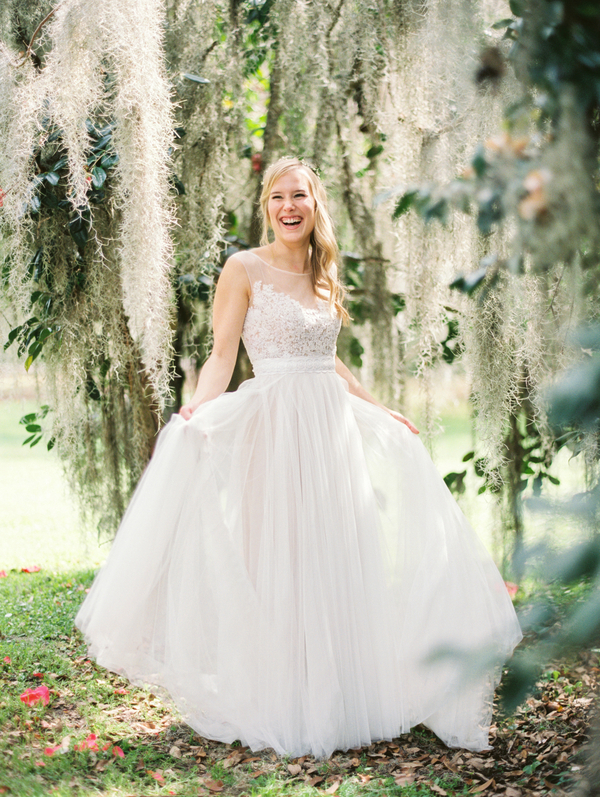 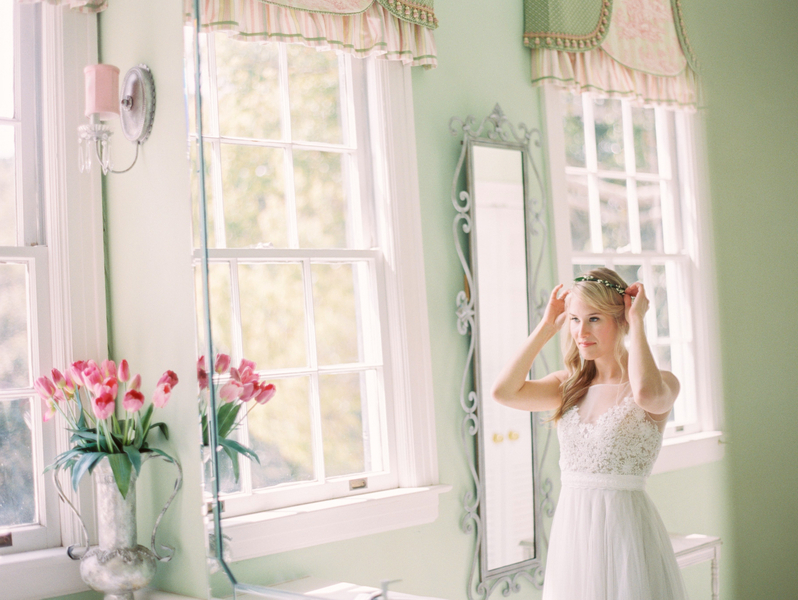 This lovely bride and her husband live in Charleston, so we met her for bridal portraits at Legare Waring House. 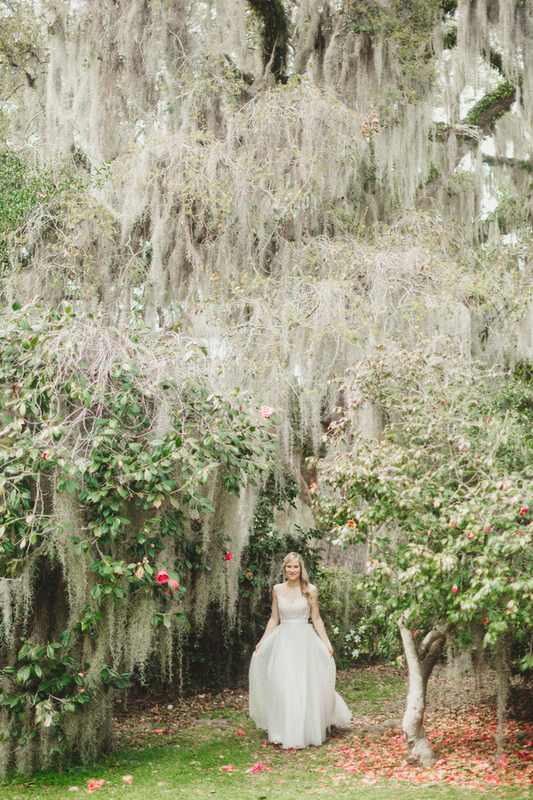 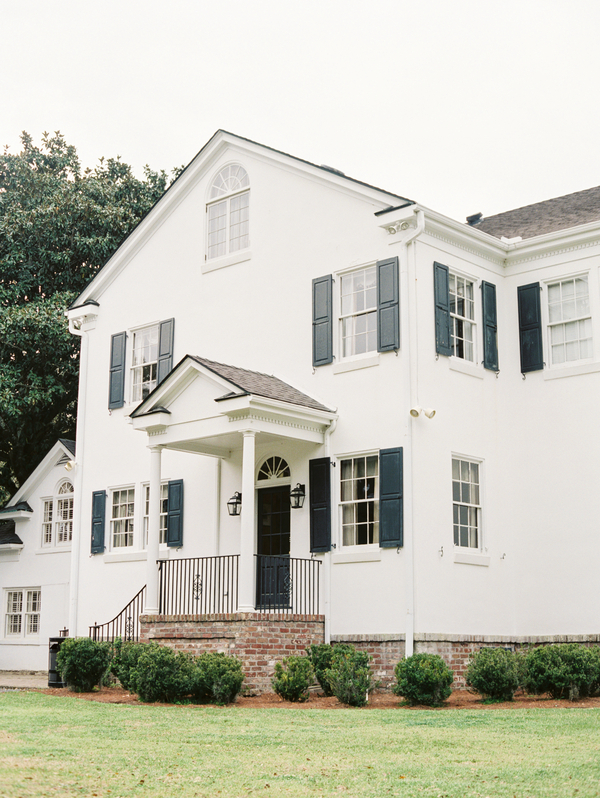 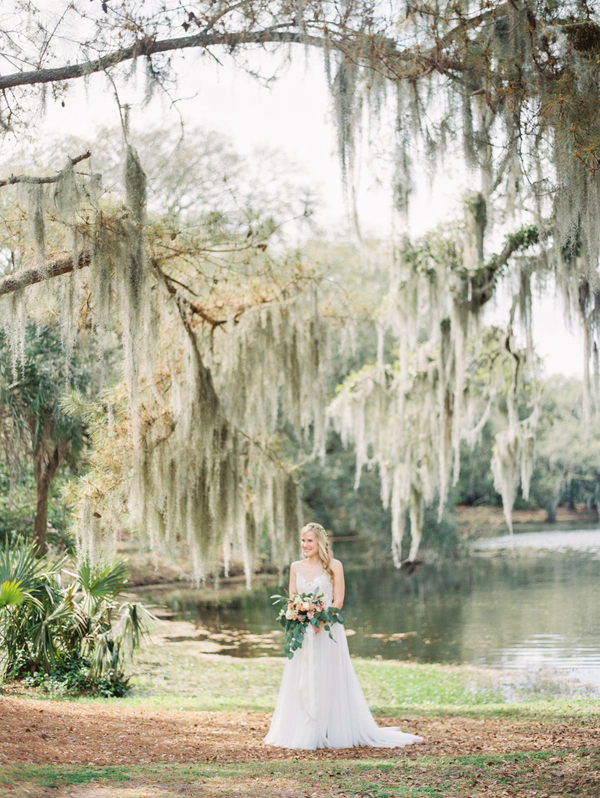 Known for its ancient avenue of oaks, historic antebellum style home, and lagoons, Legare Waring House is the perfect location for weddings and bridal portraits.Her wedding gown included a gorgeous lace and tulle overlay with a beautiful sheer back including pearl buttons. 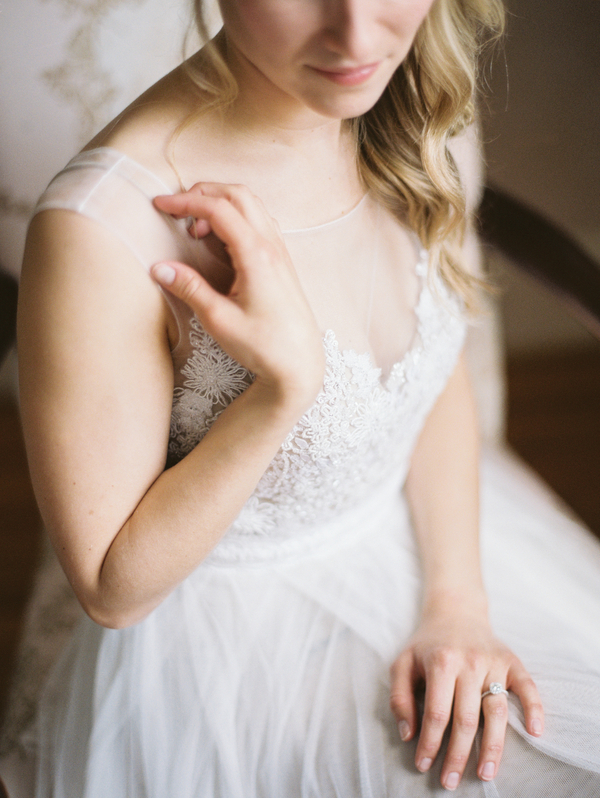 There were layers upon layers of tulle that flowed in the breeze and danced behind her as she walked. 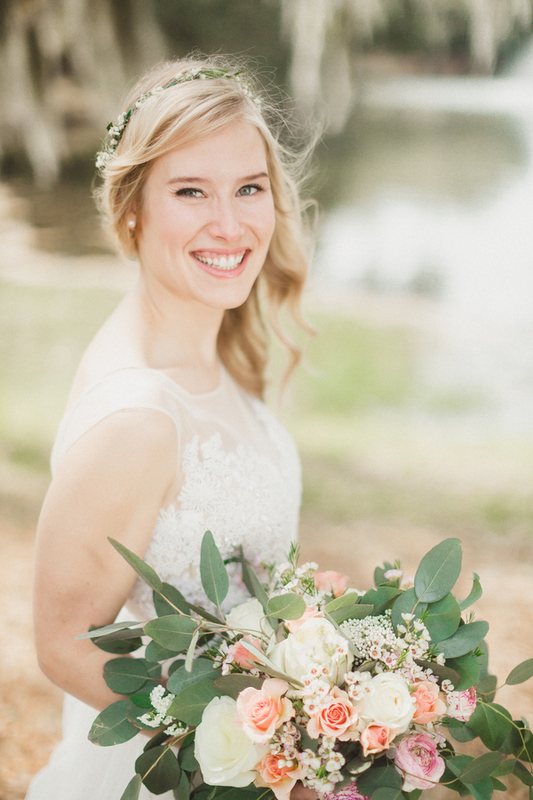 One of her bridesmaids on Sunday said she looked “ethereal,” and we completely agree!Bridal hair and makeup was by Lashes and Lace Charleston, and her bouquet was by Kala at MOD Events. 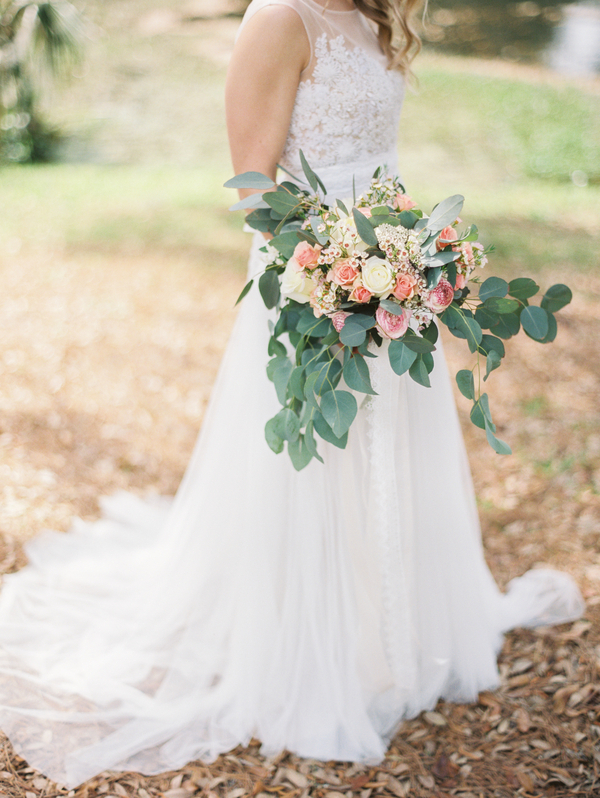 Erin added white ribbons and lace to the bouquet, and it whisked around in the breeze!